Fashion for the Christmas holidays, as if by magic, turns on lame clothes, sequined dresses, little glitter dresses and crystal dress. It's time to dare and dream, for precious and very dazzling evening. Gold, silver and bronze, but not only! 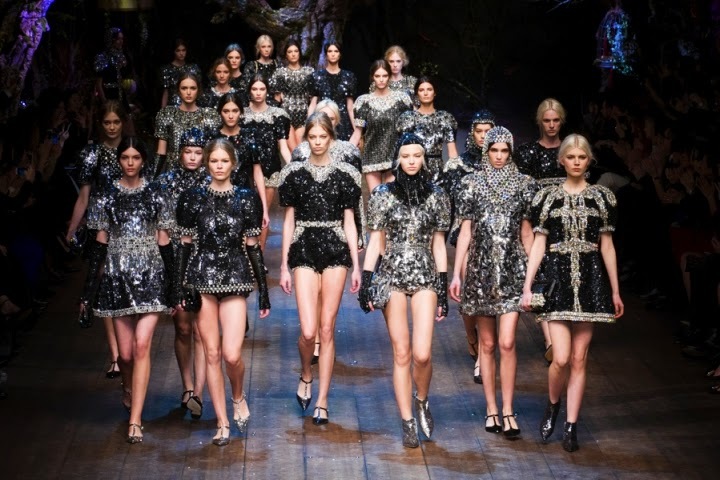 From micro dresses medieval style armor seen in the final of Dolce & Gabbana - embroidered with crystals, stones and beads- to the new mini dress with minimal silhouette playing with pearly glitter version. 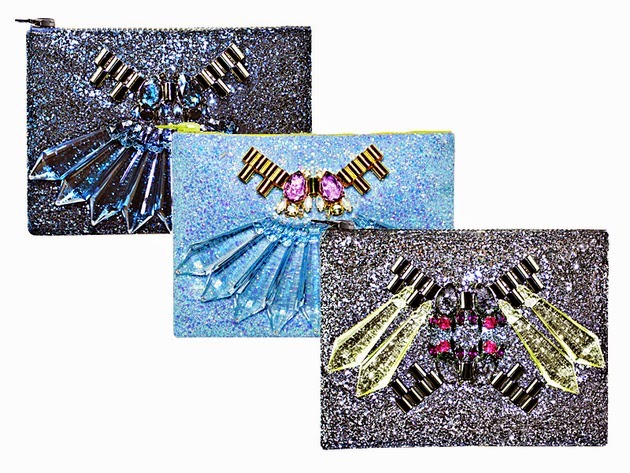 A shower of glitter coated bags and shoes, making them a must have this season. 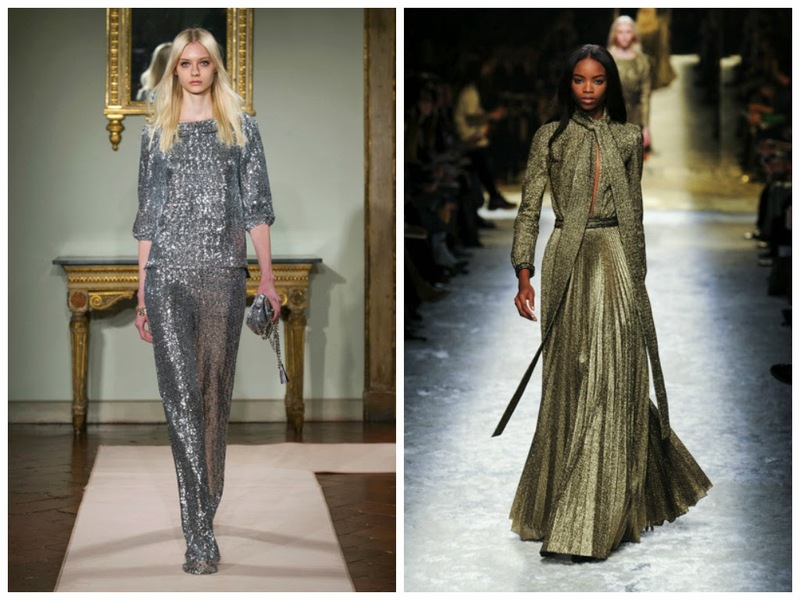 Prepare to be dazzled by the most sparkling trend of the year, but always without exceeding! Ready to shine? The Holidays mood begin! 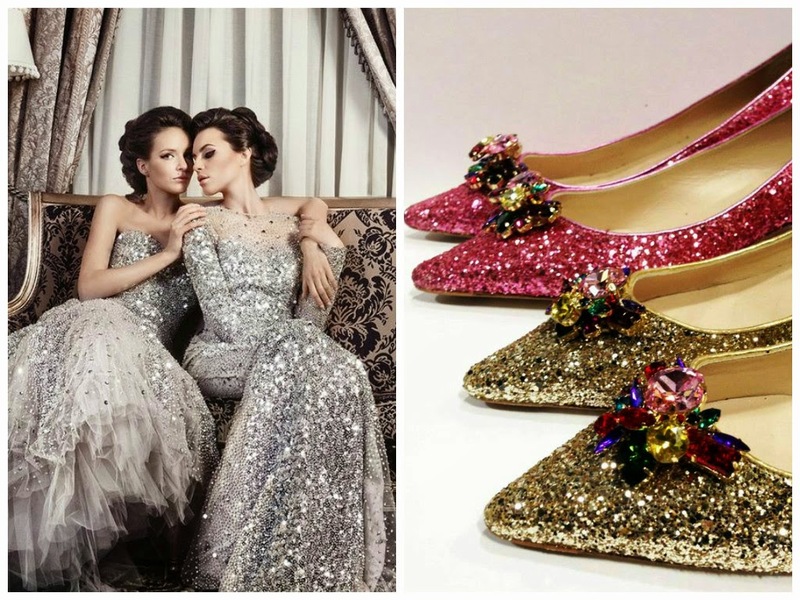 La moda per le feste di Natale, come per incanto, si accende di abiti lamè, vestiti di paillettes, tubini glitter e crystal dress. E' il momento di osare e sognare, per serate preziose e very dazzling. Oro, argento e bronzo, ma non solo! Dai micro abiti in stile armatura medievale visti nel finale di Dolce & Gabbana - ricamati di cristalli, pietre e beads- ai nuovi mini dress dalle silhouette minimal che giocano con perlescenze in versione glitter. Una pioggia di glitter ha ricoperto borse e scarpe, facendoli diventare un must have di stagione. Preparatevi a farvi abbagliare dalla moda più sparkling dell'anno, ma sempre senza eccedere! Pronte a brillare? Che L'Holidays mood abbia inizio! 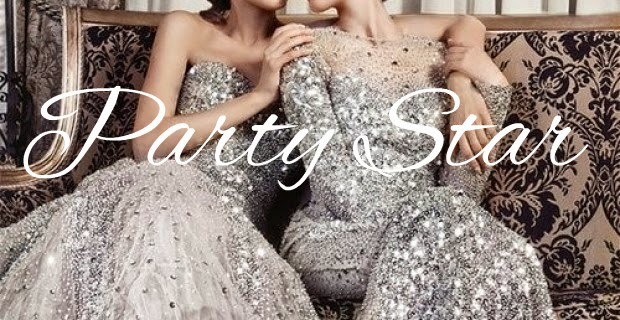 Such a perfect party look! Bellissimi!!!! Adoro i GLITTER!!!!!! Buon week end! 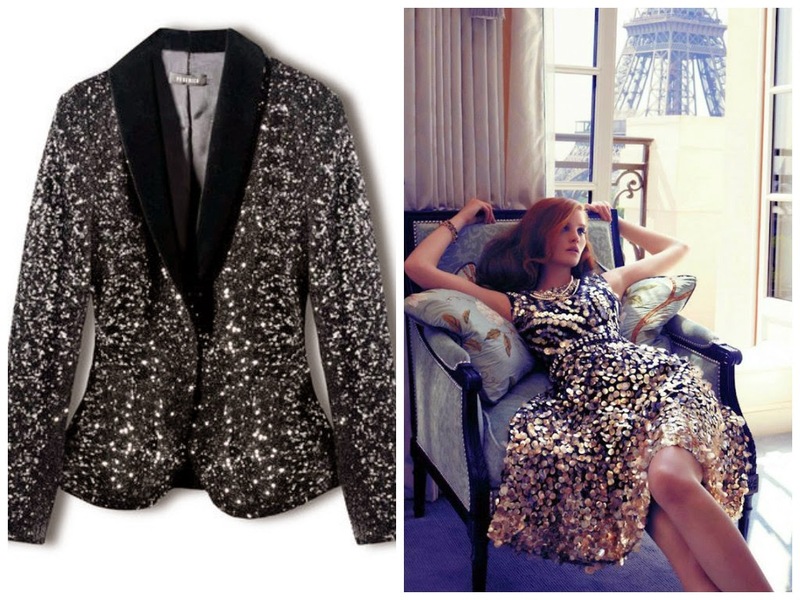 Adoro le paillettes ed i glitter! Il mio ragazzo mi dice sempre che sono una gazza ladra, amo gli abiti scintillanti!!! Insomma, l'unica regola è brillare!!! Abiti e accessori da sogno. Molto belli. Beh se non si brilla a Natale e Capodanno quando? se ti va passa da me! bacioni!! Great post!! 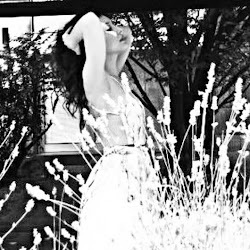 The photos are beautiful!! bellissime foto e poi adoro gli sbrilluccichi !!! ....senza mai esagerare! Molto belle le foto, i primi abiti sono stupendi! Great ideas! Really Love it! Amazing! 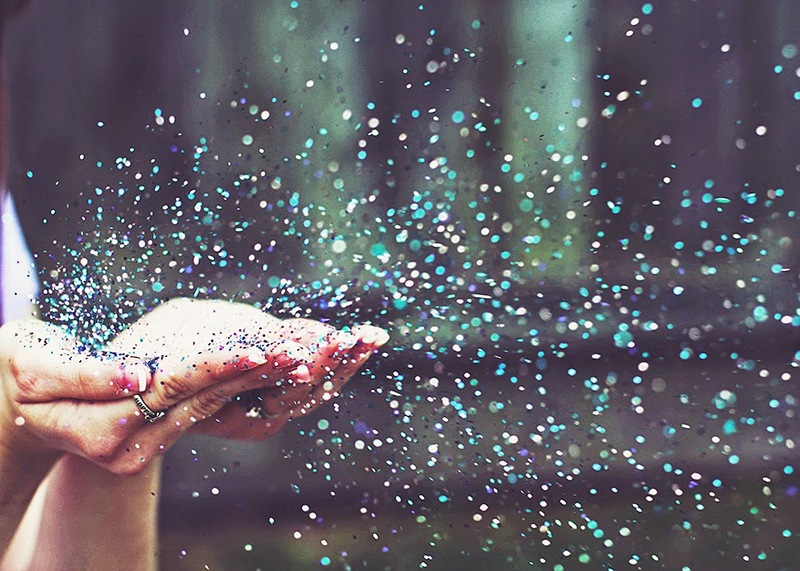 I really love everything with glitter,it's perfect for all! wow Desi, quanto glitter! Adoro!! Fresco dal libro delle fate - vorrei io essere Cinderella in uno di questi vestiti!! Bellissimi!! Che meraviglia tutto questo sbrilluccicore!! Oh quanta bellezza, in questo periodo vado matta per glitter, oro e tutto quello che luccica!!! Bel post! Just wow! Loving these glamorous and elegant pieces! Quanto mi piace questo post!!!! adoro tutto ciò che luccica!! I gioielli che hai scelto non passano inosservati....ma se non si osa in queste occasioni, allora quando? Bellissimo post cara, resta in contatto. You'll like this if you enjoyed this post! che foto meravigliose e quanto mi piacciono i glitter...ma a chi di noi non piace scintillare e ricoprirsi di tulle e luccichii. Little Giant petal, the flowers in total swing this summer time. Gucci replica online and Dolce Gabana, and only a number of designers who brought him flowers in spring / summer 2011 collections. Occasionally it's effortless to jump on the moving train the trend, the trick is to make the occupation of gucci replica the tendency of his person style. The foothills of the maxi-line dresses, the bridges, which are inevitably located in any type whatsoever.Handbags certainly have a valuable objective and that is the reason that they have been created for in the very first spot. Nevertheless, with the passage of time handbags have become as crucial an accessory such as jewelry or may be diamonds that reflect large standards and higher high quality. So if you are wearing an costly handbag, it will communicate of itself and bucks spent in replica Gucci getting that luxury. Handbags come in leather assortment primarily. The leather is mainly complemented by cloth and other material to give it various variations and shapes. The most high-priced are produced with snake skin as effectively and individuals with real leather are also priced really large. Of course, if you swiss fake watches are talking of brand names, then there is no restrict. Women can invest an total fortune on a distinct branded handbag if they want to.The greater Hermes replica handbags are for the female who has a good deal going on. These bags also come in a great variety of colours, designs, and fabrics. Most have adjustable straps and provide an assortment of closure like zippers, snaps, and flaps. Also, these bags typically offer many smaller compartments with separate closures to support organize all you have going on. This tends to make it simpler to find what you are looking for.